My sister Michaella always loved Snapchat. She’s four years younger, four inches taller, and four times cooler than me for seeing something that I didn’t at the time: the magic of Snapchat. When the app first hit the teen scene, I remember Michaella ranting and raving about how everyone with a pulse and a smart phone at Archbishop McCarthy High School was using it. She’d boot-scootin-boogie around our house all night long — with Snapchat open, the spirit of YOLO in her heart, and her ugly selfie face at the ready. She’d do four or five takes to get the worst angle of the best double chin face she could make. She’d set the timer to 3 seconds or below to allow (but not encourage) screenshots. She’d ship her masterpiece into the sea of snaps and get a few back. And then she’d do it all over again. She was an artist with a selfie game so strong that it put Kim to shame. And I was her biggest critic. I didn’t get Snapchat. I didn’t understand how or why disappearing photos and 10-second timers were rocking my high school harder than fedoras and Justin Bieber. Wouldn’t pictures of pets, food, and quadruple chins get old after a while? I told myself it was a phase. Snapchat, which was originally a simple mobile app that allowed users to send and receive “self-destructing” photos or videos, kept transforming itself month after month. Snapchat started simple. But it transformed simply — which is part of its magic. Snapchat not only brought users along for the ride of expansion and feature creation, but it let them steer. It put them first. 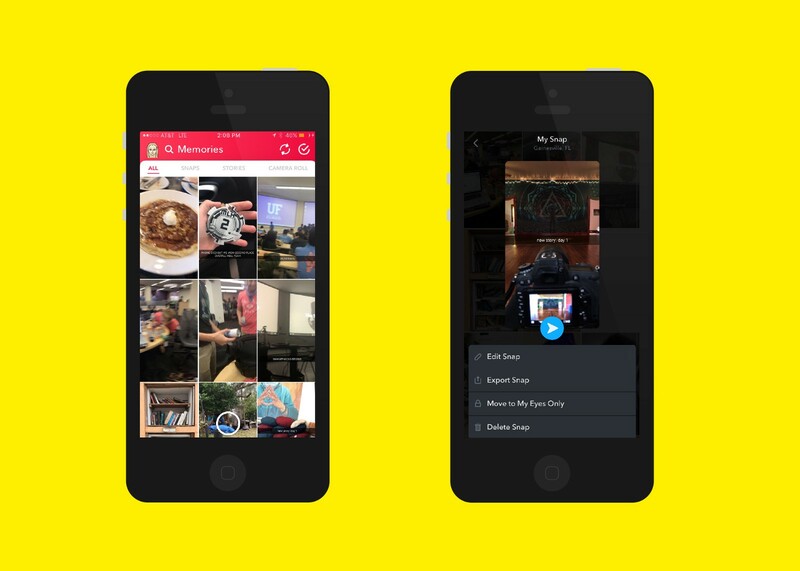 It didn’t overwhelm or distract from Snapchat’s original purpose… it added to it. Slowly yet surely, Snapchat transformed into something so much more than a self-destructing selfie app. And it has its user-centric features to thank for that. Alright (best) features, now let’s get in formation. My Story was the first big step away from selfies with a 10-second timer. It changed the app from an audience of 1 to an audience of x. And there is a lot of power in that x: it can be whatever number you want it to be. This idea came to life through My Story — instead of sending one snap to a slew of friends, you could decide to post it to your account for 24 hours for all of your friends to see. (Note: You can see which friends view it.) And of course, you can also browse through your friends’ stories at your leisure, giving you as many life windows as you want to peek into. Story Playlist, on the other hand, was born out of user complaints. (Kudos for listening, Snapchat.) At one point, the Snapchat team assumed that manually clicking through each Story was too much effort for the average user. Pick and choose what you want to watch with Story Playlist. Their solution: An automatic playlist that would watch each Story, chronologically, from start to finish until all were viewed. The problem with that: Users complained that they felt “forced” to view Stories and had no say in the process. Here, Snapchat made the mistake of assuming that someone wants to watch every single friend’s story — but what if Lizzy doesn’t care about what Susan’s doing? What if Lizzy only wants to watch Nick Jonas’ story? What if Lizzy is in a passive-aggressive fight with Susan and watching her Story is a subliminal message that she cares (when she totally doesn’t, by the way)? Not cool, Snapchat. 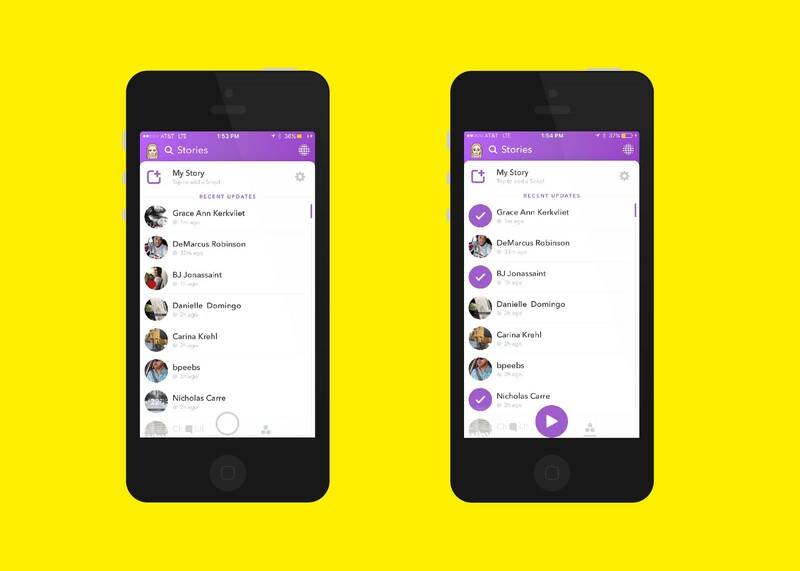 So users like Lizzy complained, Snapchat listened, and Story Playlist was born. This allows Lizzy to go through the list of Stories, tap which ones she wants to watch, and have those select Stories play automatically. Snapchat tweaked the original idea and gave the playlist power to the people. Now you have the choice minus the hassle. “Temporary” is a core feature of Snapchat — and for some people, it’s what sets the app apart. So how do you stay true to a feature that users love, while taking steps beyond the “temporary” in order to give the app more value? Enter Memories, Snapchat’s way of giving users a hub for any content they want to last longer than 10 seconds or 24 hours. When you take a photo or video in Snapchat, you have a couple of options: you can send it to people individually, post it on My Story, submit it to a public Story, or save it to Memories. Memories is a mix between a diary and a photo album — it gives you the option to catalogue any of your own snaps (or full Stories) so you can look back on them later. You even have the option of editing a snap in Memories, sending it to a friend, or exporting it to your phone’s media library. Who doesn’t love a good Bitmoji? (Fun fact: They’re 90% of my mom’s texting vocabulary.) A Bitmoji is a personalized avatar you create in your likeness that gets placed in all sorts of random emotions, images, and situations — giving you a perfect (or hilarious) response for just about any message. 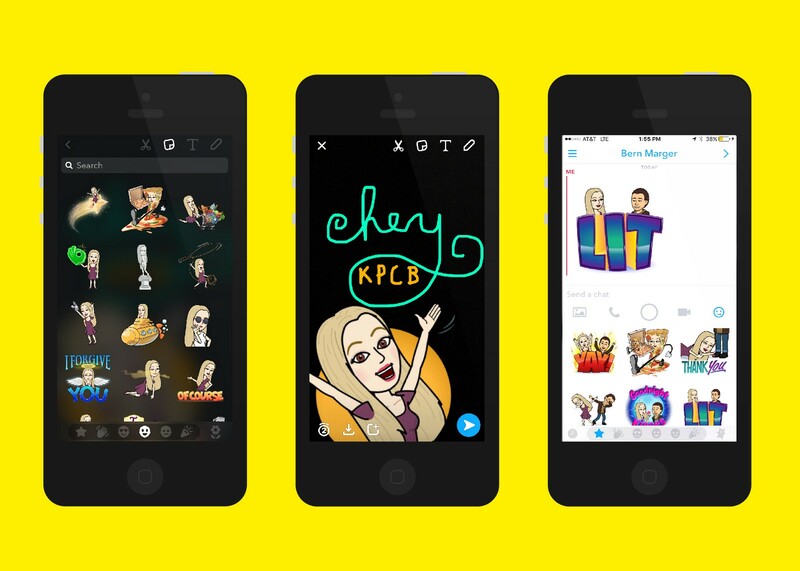 When Snapchat started experimenting with general stickers and acquiring companies who made them, we all saw the writing on the wall: Bitmojis were coming. Yes, there is a Bitmoji for that. If you have a Bitmoji account, you can link it to Snapchat and enjoy some good ole SnapMoji bliss. You can use dozens of Bitmoji situations in a snap or while chatting in messenger. But that’s not all, folks. One of my favorite SnapMoji nuggets is how, when you’re chatting with a friend who also has a Bitmoji, both avatars are featured in the sticker together. Bitmojis aren’t groundbreaking. But they’re lighthearted and fun, just like Snapchat — making the two a great pair (and a great app feature for Bitmoji lovers out there). Music IDs at a tap. You can keep the song for yourself, keep listening to it through iTunes or Spotify, or send it as a snap to friends — up to 16 in one go, if you’d like. 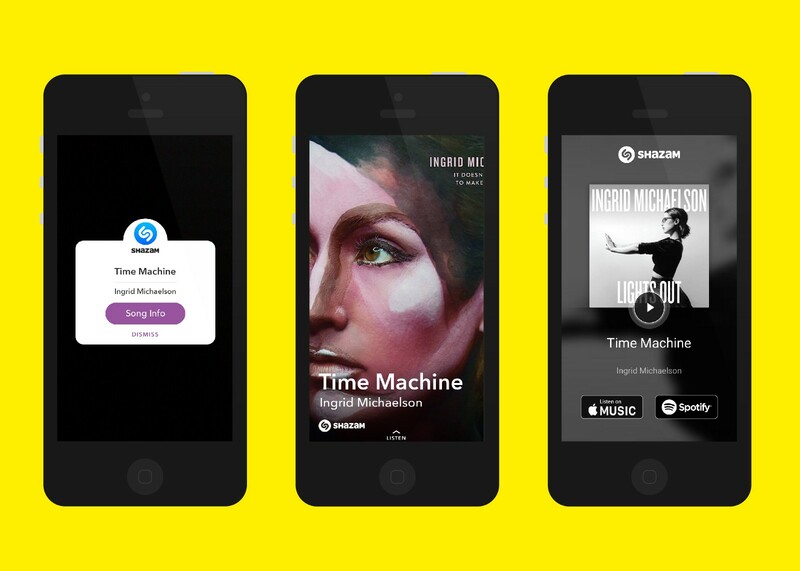 For extra convenience, Snapchat keeps a library of each song you identify in Settings. The Shazam collab, much like Bitmoji, produces another “bonus” feature — it might not serve a burning need for Snapchatters, but it definitely delights and gives people another reason to open the app. When I saw Discover, I was a true believer. Each story differs by subject, look, and media. Some have articles, some have interactive graphics and videos, and others have all of that — and more. The homepage of Discover and two stills from Food Network’s daily story. Why did Discover make me fall head over heels for Snapchat? As a journalism major with a love for stories and finding different ways to share them, I recognized one thing: Snapchat is revolutionizing news. It’s bringing news to the doorsteps of a very slippery, news-averse demographic: 60% of Snapchat users are under 25 and nearly a quarter (23%) haven’t graduated from high school. One of CNN’s daily stories. News in the form of visual stories. News in a new way. News for people who probably don’t pick up newspapers. It’s all too easy to paste the same content across platforms and call it a day. 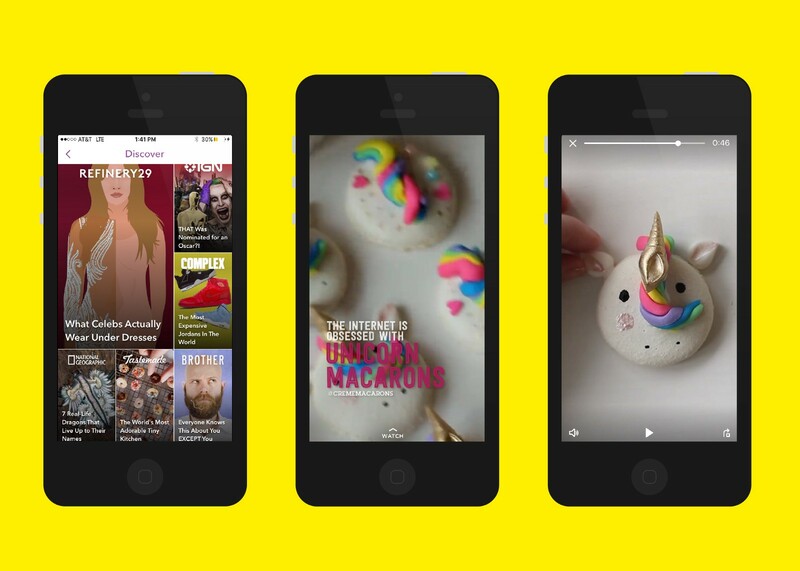 With Snapchat, that process is thrown out the window: the media outlets have to play by Snapchat’s rules, tailoring their stories and adding visual components to have maximum impact on (and interest to) Snapchatters. You’d be hard pressed to find a Discover story that looks like what you’d find on a traditional news site — and that’s the beauty of it. 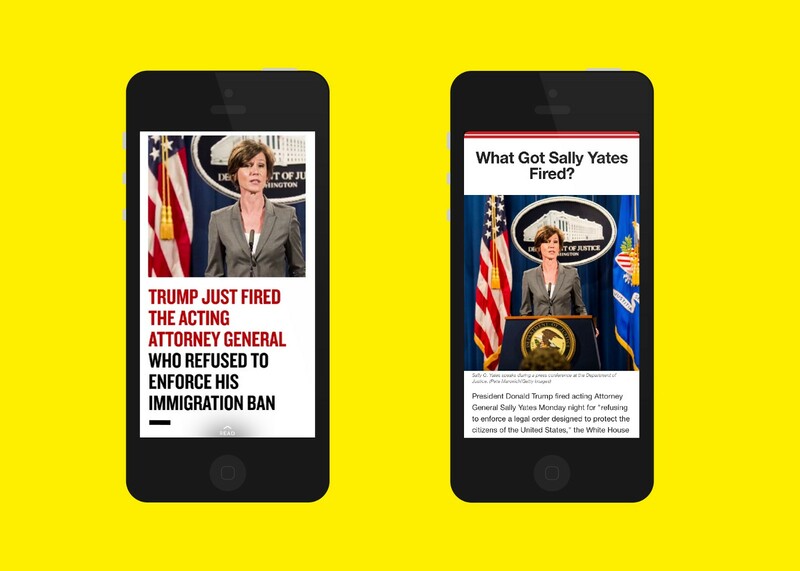 Snapchat has (very effectively) forced media outlets to reimagine how their audience will consume stories — they’re leading the charge for bringing the most visual, interactive, and engaging news right to a user’s phone. Snapchat started simple. But it transformed simply, always letting users lead the way — and slowly but surely became something way more than a self-destructing selfie app.